Hypoallergenic and Cruelty Free, this organic Bio D zingy Pink Grapefruit Washing Up Liquid is excellent for everyday use and is tough on burnt-on stains. No petrochemicals, phosphates, preservatives, enzymes or synthetic perfumes have been used in production and it is made from naturally derived, biodegradable and sustainable materials. Part recycled and recyclable packaging. 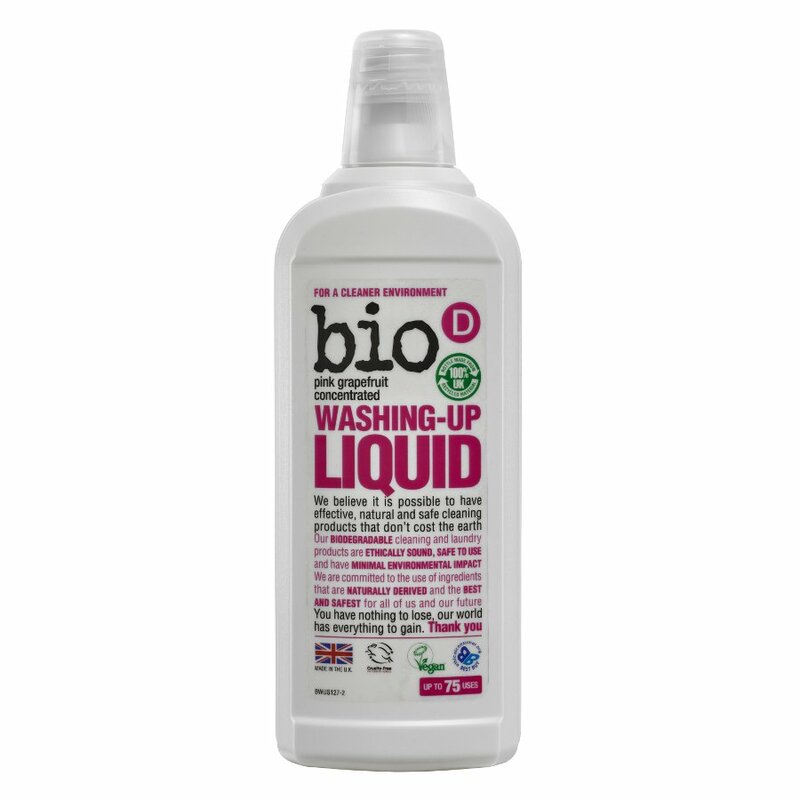 The Bio D Washing-up Liquid with Grapefruit - 750ml product ethics are indicated below. To learn more about these product ethics and to see related products, follow the links below. Lovely smell . Lasts ages . Works as well as toxic ones . Great washing up liquid with a lovely clean fragrance. Good value. Lovely! Such a gorgeous smell and gets washing up perfectly clean. Highly recommended!